Yesterday morning, I received an email from the National Football League. I get these every day, more or less—updates from NFL.com on what’s happening around the league, who’s injured, who’s benched, who’s very excited to be back in the lineup. I usually delete them without even opening them, like the promotional emails from Staples or eBay that I’m too lazy to unsubscribe to. Deleting these messages has become part of my morning routine. But this message was different. The subject line read, “Toward Safer Sports and Beyond.” Inside was a letter from NFL Commissioner Roger Goodell and General Electric CEO Jeffrey R. Immelt, who last year teamed with Under Armour to spearhead the Head Health Initiative, described in the email as “a $60 million partnership aimed at jump-starting new research and technology into the brain.” In the context of the widespread (and still spreading) criticism the NFL has received over the last few years for its apathy toward football-related brain trauma, the message reads like a belated mea culpa from the commissioner of a sport that, with each passing year, looks less like a spirited display of athletic ability and more like THE HUNGER GAMES. To come clean: I’m a football fan. I came to the sport at the comparatively late age of 26, but since then it’s become something of an obsession. I love the complexity of the sport. I love breaking down the strategies, learning the subtleties, witnessing the profound reversals of fortune. If you allow yourself to become invested in football, you find that it’s the stuff of high drama. Of course, you also find that it’s the most brutal, punishing, downright sadistic form of legal competition in the popular culture. That’s part of the reason Mike Boryla walked away. Boryla was a quarterback for the Philadelphia Eagles from 1974-76, who, after a brief stint with the Tampa Bay Buccaneers in 1978, retired from professional football when he was only 27. In his new one-man show, THE DISAPPEARING QUARTERBACK, Boryla mentions that he suffered three concussions during his time in the NFL—a number that, he also notes, is the average number of concussions received during the average NFL career. As Boryla describes them, the concussions are accompanied by blackouts, memory loss, and profound confusion. And after years of taking sacks from marauding defenders only to be shown back onto the field by overzealous coaches, Boryla found the moment of clarity that eludes so many athletes and fans: he realized that it just wasn’t worth the money to have his brain beaten into pizza dough. Like most past and current football players, Mike Boryla is not an actor. Though the text of THE DISAPPEARING QUARTERBACK is taken directly from the former pro bowler’s own life, it’s still a play, and a one-man show at that. It’s a lot of lines to deal with, and Boryla often seems stiff and less than comfortable as he relates a rigidly constructed version of his own life. The script is excellent, but Boryla needs to relax; the stories would hit harder and the show would soar if he just loosened up a bit. Then again, though, the guy took 29 sacks in ten games. We should be grateful that he remembers his own name. While Boryla’s stage presence is not exactly magnetic, his story is worth hearing. THE DISAPPEARING QUARTERBACK strikes the uncomfortable but necessary balance between condemning football for its collateral damage and admiring it for its power as a bonding tool for both players and fans. As the pressure grows on Roger Goodell for stronger, more innovative safety measures to protect his players, the hope among fans is that the league can deliver on its vow of solidarity without irreparably altering the game. I doubt that the popularity of professional football is in serious danger, but if the league fails to take meaningful action, I wouldn’t be surprised if more and more players chose to make like Boryla and disappear. 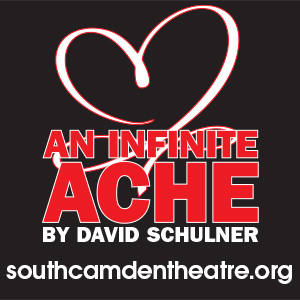 January 16-February 2, 2014, http://www.playsandplayers.org/.